The Seagate Backup Plus USB 3.0 External Hard Drive is a portable high capacity external hard drive that is fast, reliable, and highly rated. I have lost files in the past. Priceless pictures, photos, videos, documents, and other files, gone, in an instant. It is as though my house burned down in a fire and I lost all of my past. Except a hard drive failure is much faster than an out of control fire. Fortunately, there is something you can do to prevent data loss and data theft. A golden rule to the modern age where almost everything is digital is: Backup your files. Your laptop may get stolen. You, or your pet, or friend, might spill a cup of coffee on your laptop. Your hard drive may fail. Your motherboard (logic board for the Mac users) might fail. You may become a victim of a hack and your hard drive is disabled or encrypted. Whatever the reason is, one thing is clear. The external threats to our data are numerous and growing. An external hard drive is our insurance policy to protect the files that we treasure. The Seagate Backup Plus USB 3.0 external hard drive is the perfect solution. The Seagate USB 3.0 external hard drive is cost effective, efficient, and very fast. The USB 3.0 cable is backwards compatible. So if you need to connect it through a USB 2.0 device, it will still work, just a bit slower. This Seagate backup hard drive is highly rated and one of the top products in its category. There are various capacities and the external hard drive featured in this product review is 5 terabytes (5TB). This kind of capacity is more than enough to fill a family’s worth of electronic documentations. 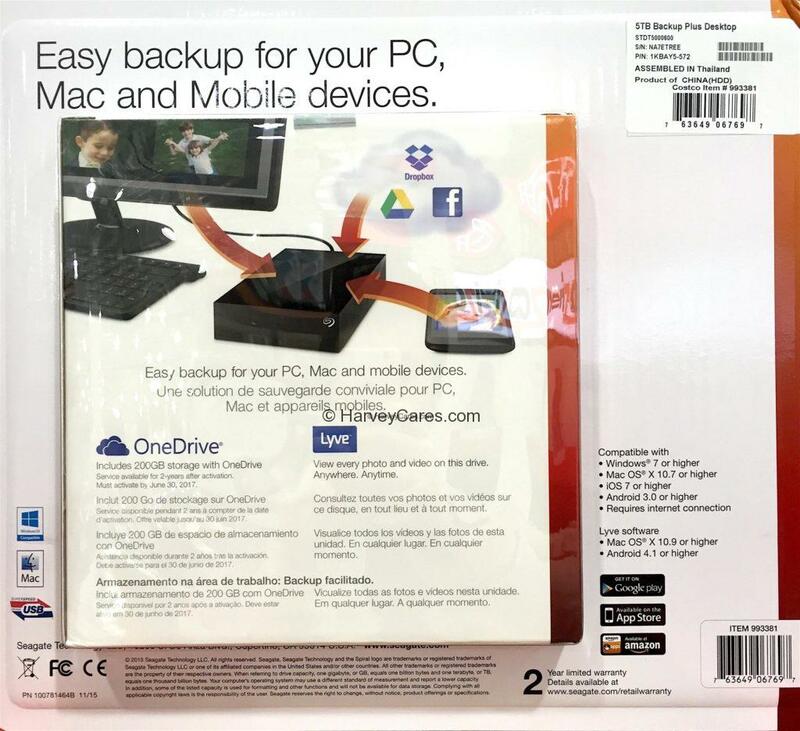 The Seagate Backup Plus USB 3.0 external hard drive features a cloud storage system called OneDrive. With the purchase of a Seagate hard drive, you get a 200 gigabyte (200GB) cloud storage membership. Access your files anytime, anywhere. Rest assured that your file is assured and protected by one of the most secure companies in the world. View every photo and video on your Seagate hard drive anywhere and anytime through the Lyve software included. I found the Seagate Backup Plus USB 3.0 external hard drive to be seamless to use. It is efficient, fast, and secure. Data backup is not optional. It is essential. We have all been victims of data loss in one way or the other. Let that be the past. Save time by backing up your data so that you won’t spend many hours trying to get your lost data back. Looking to Purchase Seagate Backup Plus USB 3.0 External Hard Drive? Shopping for the Best External Hard Drive? The Seagate Backup Plus USB 3.0 External Hard Drive is wonderful. Back to the good stuff! Take a look at the detailed review of Seagate Backup Plus USB 3.0 External Hard Drive below. Item name: Seagate Backup Plus USB 3.0 External Hard Drive. USB 3.0 external hard drive. Various capacities up to 5 terabytes (5TB). PC and Mac compatible hard drive. Create and customize your own backup plans. 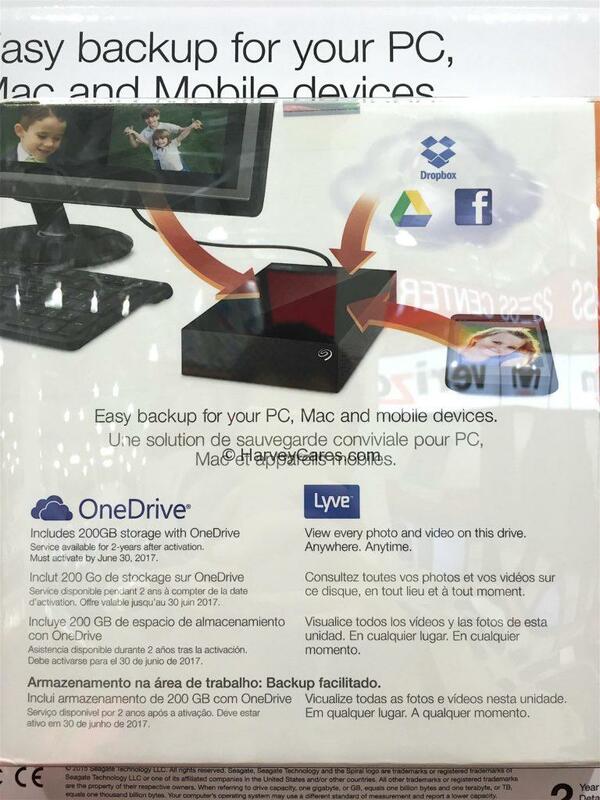 OneDrive cloud based storage option. Includes 200gb of cloud storage with your purchase. Take your files anywhere, everywhere. Includes Lyve software: Access your files anywhere, anytime. Automatic backup of photos and videos from your mobile device. Never lose a file ever again! Made in Assembled in Thailand, product of China. One of the many features that I love about this Seagate external hard drive backup solution is the included powerful Lyve software. If you choose to, the hard drive will automatically backup photos and videos from your mobile device. You can access your files anytime at anywhere. You can also link this hard drive to Dropbox, Google Drive, and applications such as Facebook for easy sharing, or not. The Seagate Backup Plus USB 3.0 external hard drive product back panel is below. The Seagate external hard drive is assembled in Thailand and is a product of China. I found this external hard drive to be very reliable, fast, and efficient. The powerful software suite included are very convenient and intuitive. If you are looking for something that will automatically backup your data with easy sharing and viewing capabilities, then look no further. This Seagate backup plus hard drive even backups content from your WiFi connected smartphones. A comprehensive backup solution in one small but solid package. 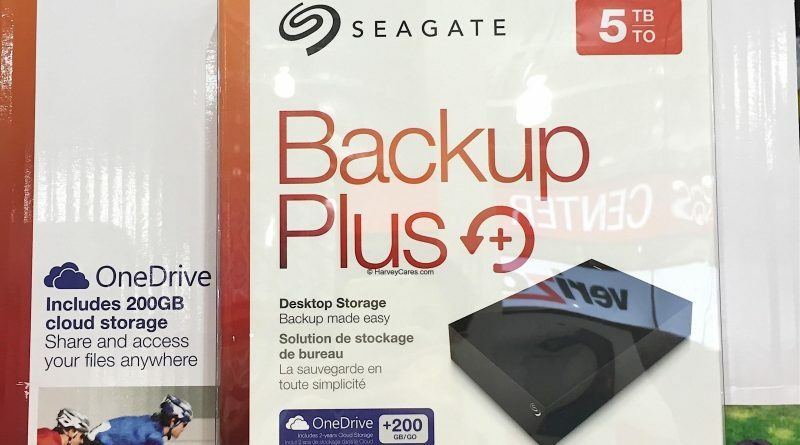 The Seagate Backup Plus USB 3.0 External Hard Drive is currently available at my local Costco warehouse. 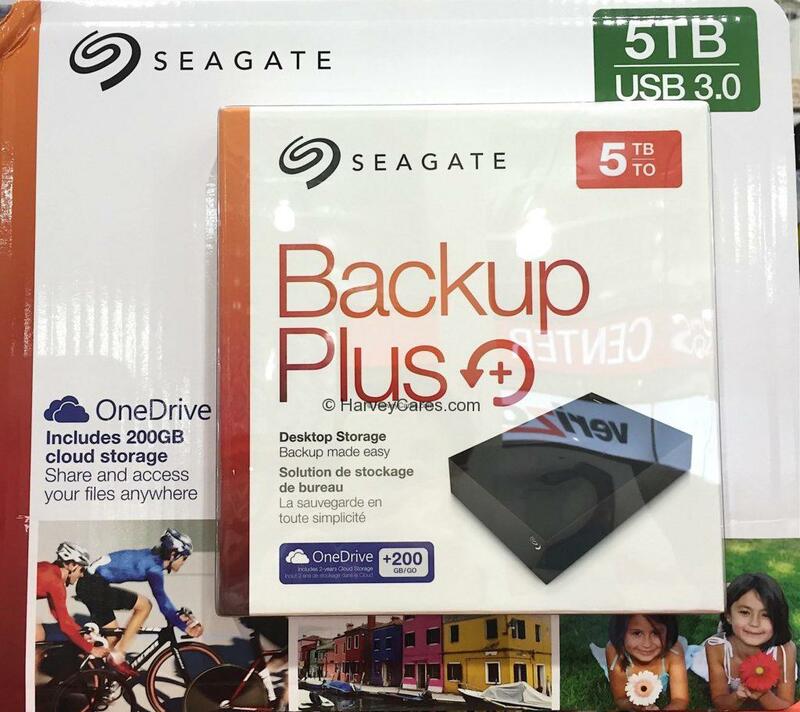 Have you bought the Seagate Backup Plus USB 3.0 External Hard Drive before?